In a previous blog post we focused on the hot new trending products of the summer but today we visit the other side of the spectrum; the not so hot. This choice is one that I absolutely disagree with but the tide of public opinion is turning against me. Diatermacoeus Earth (DE) Filters are the Cadillac of pool filters, able to provide superior filtering of your water. Unfortunately for DE, it also comes with the cost and maintenance of a Cadillac. I love these filters for their filtering power but despise them for the cost and required maintenance to keep them in running order. DE filters will filter down to the smallest particle size out of the 3 common pool filter types DE, Cartridge and Sand. On the downside DE is the most time consuming to maintain and clean. Another shortcoming of a DE filter is the process of backwashing the filter this requires that you dump your dirty chemically treated water out into your yard. If you have expensive water costs then the re-filling of thousands of gallons of water per year back to your pool is a definite check on the negative side for a DE filter. When a homeowner asks me what filter type of filter I like the most I say “DE”, but that is followed by saying “I would rather install a cartridge on my own pool”. The DE filter is perfect for the persnickety (picky) pool owners who wants their water sifted to the enth degree. But for homeowners who wish to spend their weekends enjoying their pool rather than breaking down the filter or backwashing I would choose the cartridge option. A DE filter may need to be recharged with DE once every two weeks where a large quad filter may go a whole season before a thorough cleaning is needed. 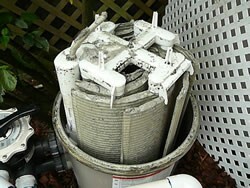 Fortunately for the DE loving pool owners out there, there are no plans for manufacturers to stop making DE Filters. You never know, the mighty DE may have an uptick in popularity next summer. This is likely just a slump year rather than a sign of worse things to come. 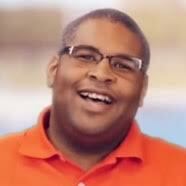 Some pool pros saw the downfall of the ozonator immediately but others went headlong into the breech of pushing ozonators onto uninterested pool owners. I believe part of the issue for the ozonator failing was the lack of education on how it worked; when I was first introduced to the ozonator I was told essentially it was an offline chlorinator that produced “Ozone” from splitting oxygens molecules, which then was reintroduced to the return line to clean your pool. For the average homeowner the explanation either went over their head or induced a yawn after hearing the word ‘molecules.’ The pool professional’s unfamiliarity with the ozonator also led to more recognized chlorine products being suggested over the new upstart ozonators. Understandably people also balked at ozonators because it was new. Chlorine is an easy concept to grasp, add a jug or drop in a few pucks and your pool is fine. For salt chlorine generators the control panel tells you to add salt or check cell and the chemical produced is the familiar chlorine. But with ozonators you install a tube into the plumbing line that runs to the ozonator something happens and then the now Ozoned water is sent back into the pool. The abstract process of ozonation and the product it produced flummoxed the novice and the pro alike and led to a drop off in sales. Fiber optic lighting has seen a steady decrease in interest over the last few years after the big boom after its introduction; though homeowners enjoy the perimeter lighting they dislike the upkeep and unreliable light towers. Motor Assembly = $260 and Up Ouch. 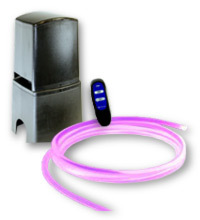 But all is not lost for fiberoptic users, there is a LED Illuminator that does away with the incandescent menace of light towers; The new 9-Color LED Illuminator is pushing the old frail towers to the side. if you read our What’s Hot blog you’ll know that this made the list as an up and comer for the new pool trends this season. Be prepared for its long reign as fiber optic king. Thank you for reading our blog and if you have any questions about the products we mention in the blog or anything else pool related, do not hesitate to call Inyo at 877-372-6038.